You’ve probably seen thousands of ads for Geico or Aflac on television talking about the latest savings you can get for car insurance. But how often do you see companies talking about lowering your home insurance? Probably not regularly. Obviously, people know they need home insurance. But typically, those who own homes don’t understand the policies the same way that they would their car insurance, and that’s why many people pay more than they need to. Typically, a policy will cover the actual dwelling and some of the other structures on the property, such as a fence, garage and driveway. Personal property is also usually covered, and regularly covers the contents inside the home, although there will be a higher cost for high-value items like jewelry or antique paintings. Thankfully, there are some steps one can take to lower their homeowners insurance. Eliminate unnecessary coverage. The easiest way to reduce your monthly payment is to find things in your policy that you just don’t need. If the property value of your home has gone down, you can insure it for less. As long as you have enough to cover the structure of the house and its contents, you’re golden. Some people have flood insurance without living anywhere near a flood zone. Sure, something out of the ordinary can happen, but this is something that you might want to consider removing. Remove things causing an uptick. Do you have an old treehouse or wooden shed in the yard? If these aren’t being put to use, get rid of them because they must be insured and it adds up. Same with a swing set or trampoline, the latter of which can really skyrocket your premiums. Shop around. Just because you started with one insurance company doesn’t mean you need to remain loyal. Look around at other companies and see what sort of deal you can get. Often, you can find a better rate and it doesn’t take much effort to switch. And if you’re planning on leaving, just talking to your current carrier about the reason might persuade them to lower your premiums so you won’t even have to do any paperwork. Bundle your policies. Savvy people understand that by bundling a car, home and even life insurance policy with one company, rates are lower. Insurance companies appreciate people who trust them for everything, so it’s a win-win for both sides. Protect your home. Just as drivers who don’t get into accidents see rates lowered, those who protect their home from damage can equally be rewarded. Simple things like putting in smoke detectors, carbon monoxide detectors and alarm systems can help your bill decrease. Talk with your insurance agent about what savings you can get. Keep in mind that while most people take out insurance for the price they paid for the home, even if your home was to burn down to nothing, you would still have the land, and that’s part of the value. 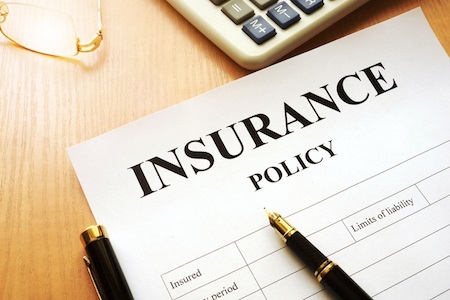 A good insurance agent can help you decide exactly how much you would need in the most extreme circumstances, which may even be lower than what you currently have.